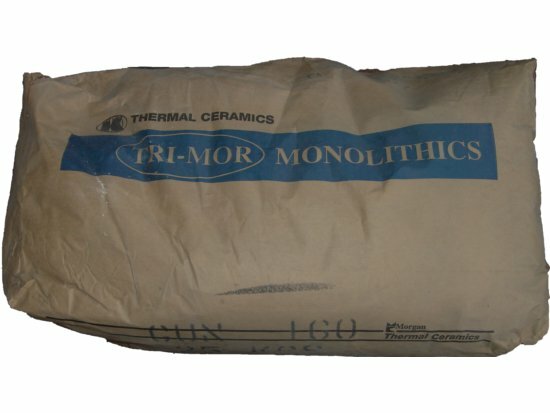 This castable refractory can be used to line furnaces, forges and kilns with a maximum temperature range of 1600C. It is an easy to product to use. Mixing instructions - Mix using a minimum amount of water then pour into the mould slowly packing it down every 5 to 10cm to ensure there are no air pockets. It will set in 24hrs but should be left to cure and dry out for 1 week. Heat can then be gradually applied (300 to 400C) to finally drive off remaining moisture prior to bringing it to operating temperature. Do not rush the process as drying to quickly will result in shrinkage cracks that will lead to a much shorter working life.